Multi-award winning author, Simonetta Agnello-Hornby was born in Palermo and has spent most of her adult life in London. Her debut novel La Mennulara/The Almond Picker was published in Italy in 2002 by Feltrinelli. Translated into more than ten languages, it shortly became an international bestseller. 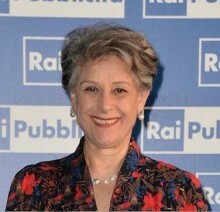 Following the success of La Mennulara, she has published several novels such as, La zia Marchesa/The Marchesa, 2005; Boccamurata, 2007; Vento Scomposto, 2009; La Monaca/The Nun, 2010; 8Il veleno dell'Oleandro, 2013; *Caffè amaro, 2016 and various memoirs, short stories, and non-fiction works. In 2016 she was awarded the Order of the Star of Italy in the rank of Grand Officer by the President of the Italian Republic. In November 2018, the publisher Feltrinelli will launch the graphic novel version of La Mennulara, created in collaboration with comic book artist and illustrator Massimo Fenati.